Patience you’ve outdone yourself. I am so in both to add to this one & to start one in my area. I’ll email you shortly my friend. <3!! Thank you my dear friend…for this and the e-mail! ohhhhh, yes. I wish we were neighbors J! 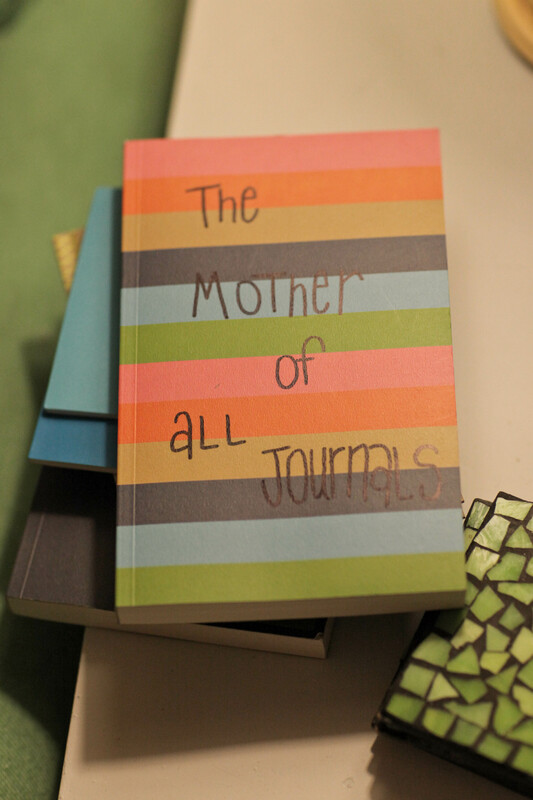 HC needs a journal!! What happiness would go out into the world? A “what make you happy?” journal maybe?! My best advice for moms… be their mom, not their buddy and don’t try to protect them from life’s struggles. Being their buddy is GREAT for you, but they need structure, rules and a unconditional love more than a friend. If you solve all their problems when they are younger when less is at stake, they won’t have the skills to solve their own problems when they are older and more is at stake. You may think you are shielding them, but in reality you are only hurting them. Life is full of bumps and curves. Let them struggle and solve when they are younger. They will be so much better off later in life. This is definitely from a “Been There Done That” mom! I know what I’m talking about! Thanks Cindy! This is lovely wisdom! I’m on board! What a GREAT idea! I’m emailing you! yay! can’t wait to hear/read your words STL! I love your perspective on life. 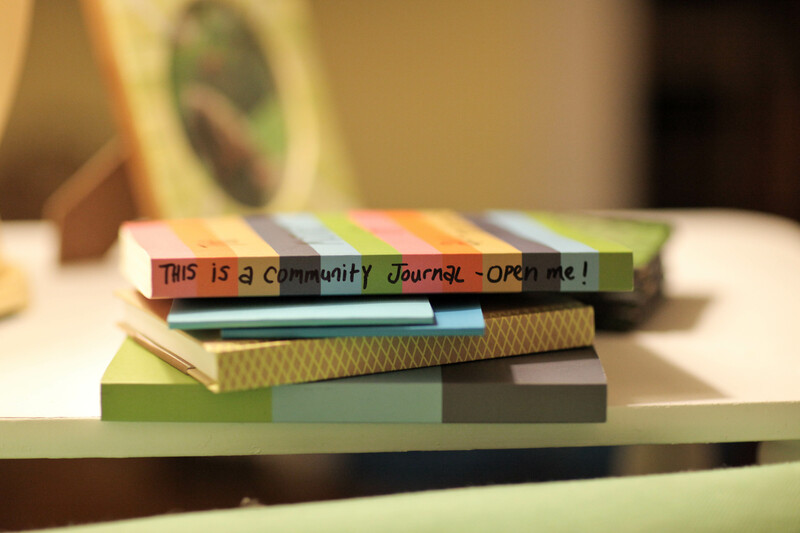 Awesome idea – I will buy a journal next week and start one in my city of Auckland, New Zealand. Yes! I love it when our kind ideas go global! Will you send me a pic Megan?! Oh I’m soooo in!!! I love your projects that all start right from the heart!!! I’ll email you!! I also would LOVE to start one in my area!! LOVE!!! I’ll start one here in Seattle. I’ll also email you a couple of things for yours. Thank you (again and again) for being you. My advice for moms everywhere: Be nice to teachers. We care about your kids so much that we spend the majority of our time teaching them, planning creative and meaningful lessons, encouraging them, trying to help them make friends, and yes, even disciplining them when necessary. We should be in alliance with each other. on my daughter’s 41st birthday, i sent her a bouquet of daisies at work and wrote on card, “Having you was the best thing I ever did”. i know she appreciated the daisies but most of all the comment.